We recently launched Sailthru Sightlines, a tool that helps marketers actually predict the future behavior of their customers, so I’d be remiss if I didn’t provide a few key predictions, myself, for the upcoming holiday season. From the rise of Cyber Saturday to mobile’s impact on email, I’m looking forward to seeing how marketers find new ways to rise above the competition. With a forecasted $800bn on the line this season, it’s time to get creative, and here are the trends I believe we’ll see in play. 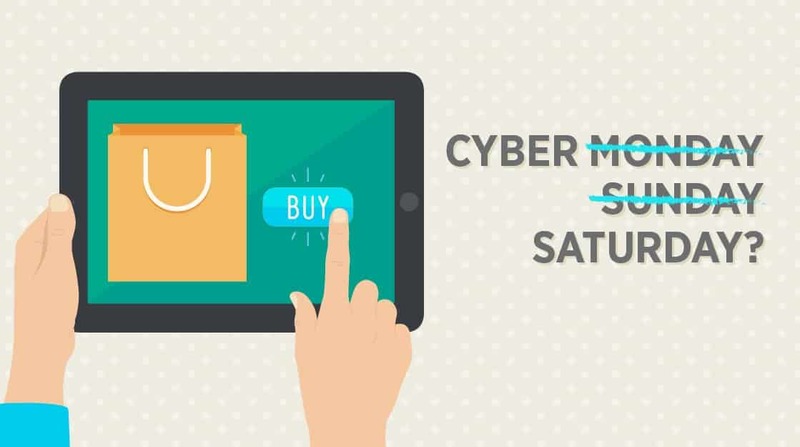 Last year we saw Cyber Monday creep into what has now become Cyber Sunday. Two key forces were at play: 1) a drastically shortened holiday buying season (“Christmas Creep”) and 2) smart marketers looking for a new way to convert on Sunday evening. For 2014, with continued device adoption and ever-increasing selection, I predict that we’ll all be talking about Cyber Saturday. Black Friday remains an in-store shopping bonanza; however, after the crowds have left stores on Saturday marketers will release a mass of online-only discounts well in advance of either Cyber Sunday and Cyber Monday. The smartest ecommerce players will place strict time limits and use tactics like discount floors to drive conversion rates that deliver high average order values. As the holiday season goes into full swing, most retailers will see email open rates plummet as consumers are inundated with messaging. Normally a 20% open rate is quite high, but during the holiday season this can drop more than 25% to 30% below a brand’s normal and high-performing open rates. This year will be no different, but what marketers may not be expecting is the dip in revenue metrics tied to holiday email marketing, all brought on by the device you’re most likely reading this from – your mobile. Mobile conversion rates are far below those of desktop, and this year I predict that key stats, such as click-to-open and revenue per thousand will drop, sending marketers wholly invested in a direct strategy into a tailspin. Those marketers using responsive design in email will surely come out on top in terms of direct response. Marketers armed with a true Single Customer View (or 360-degree view) will win big this year. From Christmas Creep to dealing with mobile conversion these leading edge marketers are the ones truly primed for success as they can quickly leverage data to created engaging experiences for each individual customer. From sending personalized push notifications and SMS, to leveraging key platforms like Facebook Custom Audiences, retailers taking an omnichannel approach will be able to get to each customer at the right time with the right message. I predict we will see new holiday superstar brands who in post-holiday press cite their use of data and ability to engage cross-channel as their keys to success.